Atlantic City may be known for its lively gaming and tourism industry, but the area is also home to a robust healthcare sector. Major local nursing employers include AtlantiCare Health System and APS Healthcare. 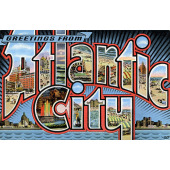 Atlantic City resides within Atlantic County, which is home to four accredited nursing schools. These institutions run the gamut of nursing programs. Prism Career Institute offers a brief certificate program for aspiring certified nursing assistants (CNAs). Atlantic County Institute of Technology has a lengthier certificate program for licensed practical nurses (LPNs). The county’s two nursing colleges, Atlantic Cape Community College and Richard Stockton College, both focus on degree programs for prospective registered nurses (RNs). All three nursing roles require direct patient care. Indeed, a CNA focuses primarily on everyday living needs like eating, bathing, and changing. LPNs go a step beyond this. They are responsible for recording vital signs, dressing wounds, and preparing injections. RNs hold the most independent nursing role. They make patient care decisions and lead teams of junior nursing staff. Each nursing role requires a license: CNAs must pass state certification exams, while LPNs and RNs must pass a national licensure examination, the NCLEX. According to the Bureau of Labor Statistics, Atlantic City’s nurses are very well compensated. Local CNAs earn a median annual salary of $27,230, while LPNs in the area receive $45,890 in annual pay. The city’s RNs earn an impressive $73,320 per year. All three figures are significantly higher than the national averages. Below we share additional information on Atlantic City’s accredited nursing schools and programs, including students’ recent NCLEX test scores where relevant.